Just Say Yes Events: Destination wedding in Galena Il. Just Say Yes Events had the privilege of planning a destination wedding this fall in Galena Illinois. Galena is a quaint town just 20 minutes from Dubuque Iowa and 3 hours from Chicago. 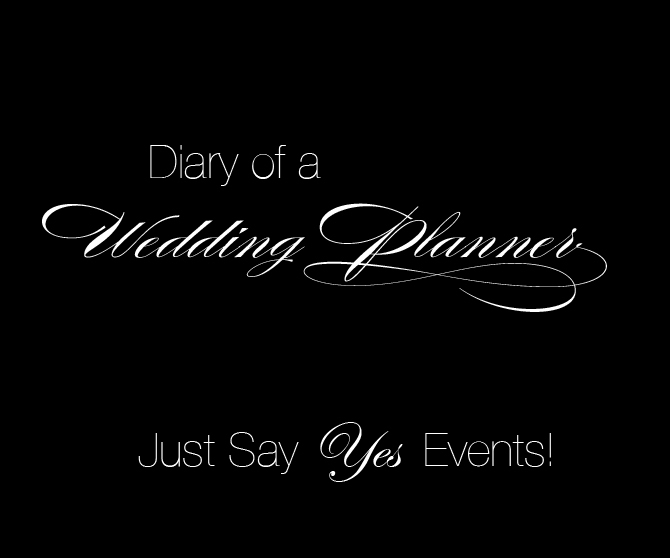 Just Say Yes was brought on fairly early into the planning for this particular wedding therefore making it very special to us. Our clients Todd Kuna (Groom) and Rachel Lukawski (Bride) were they epitome of perfect clients. They were amazing to work with and were completely involved in the planning. I remember my first meeting with Rachel vividly! She handed me a clipping from a magazine that she absolutely loved but hesitantly said "I am not sure about the colors". I personally had been wanting to design a wedding with the main color being plum so when I saw the clipping I was overjoyed. The clipping was of a wedding with plum and burnt orange color scheme!! The wheels began to turn in my head....thinking of ways to make plum and burnt orange come to life! Head Table: We used plum chair ties to make their table "Different" and add something special. We also used the brides bouquet & bridesmaids bouquets as the centerpiece. The wedding reception was held in the tent overlooking Galena Lake. We used plum lamour linens on the tables with matching napkin. To bring in the burnt orange color.... Just Say Yes created a custom napkin detail with orange satin ribbon and decorative rhinestones. The floral also brought in different shades of orange with alstromeria, premium rose and spray roses. The accent color for this wedding was gold.... We used gold chiavari chairs, charger plates and vases. Thank you for posting when you have the opportunity, Guess I'll just book mark this page.